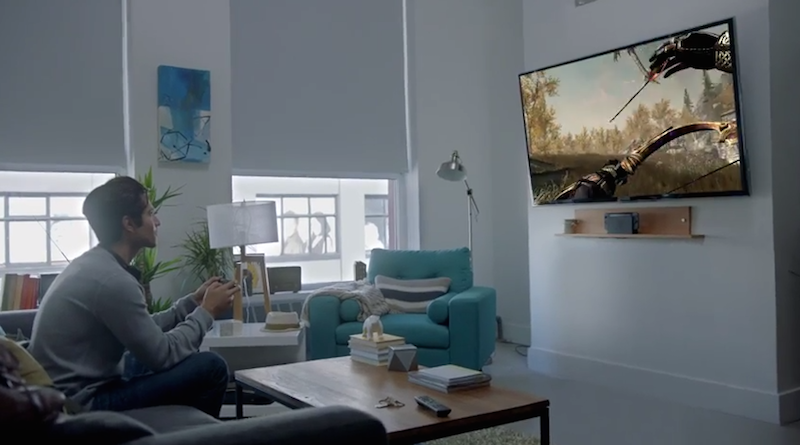 You’d think that the appearance of Skyrim in the trailer for Nintendo’s next gaming machine today would confirm that, oh, perhaps, Skyrim is coming to Nintendo’s next gaming machine. Not necessarily. Maybe it’s coming. Maybe not. Skyrim is not coming to the Switch, and the trailer was performing an egregious...bait and switch. In 2005, Nintendo first showed off the Wii, then code-named the Revolution. The trailer didn’t show any games but implied the existence of a bunch by showing people using the Wii Remote to swing swords, fish and even make Mario jump. All of the concepts in the video eventually showed up in Wii games, except for one involving a dentist’s drill. In the video, top men from EA, Ubisoft, Activision and other game studios rave about the Wii U. Included among them is BioShock lead designer Ken Levine, who doesn’t promise any games, so don’t go blaming him for subsequently never making a game for Wii U. The reel shows footage of several third-party games, including Ninja Gaiden 3 and Darksiders II, which came out for Wii U. It also shows Ghost Recon Online, Aliens Colonial Marines and Metro Last Light, all of which never came out for Wii U. Footage for some of the games in the trailer wasn’t even from the Wii U. It was from PC, Xbox 360 or PS3 versions of the games. As far as Skyrim goes, it’s really unlikely that Nintendo and Bethesda would tease a game so prominently that isn’t really slated for the system. Bethesda has been huge on PC, Xbox One and PS4, but nowhere on Nintendo this past generation. It hasn’t published any games on the Wii U, which means Oblivion, Skyrim, Fallout 3 and Fallout 4 have all been absent from Nintendo systems. Nintendo and Bethesda now working together is an important development, especially if Bethesda bring its beloved RPGs that can allow them to be played on the go. Battery life willing, a portable Skyrim on Switch would be cool. On the day of the Switch’s reveal, game publishers just aren’t saying which games they’re bringing out. For now, you’ll just have to make educated guesses about what the Switch will actually play when it’s out in March.